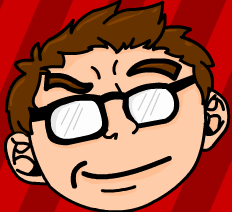 I’m a complete outsider to current comics. Yeah, I know the history and lore of the different universes and I try my best to keep up with comics but it’s all just turned into one big blur. To me it feels as if Marvel and DC ran out of ideas in the 90’s and almost everything since then is material which could never be touched by their studio departments – give me the movies any day. So, I’m confused about this whole ‘All-New, All-Different Marvel’ thing which is going on. Didn’t we have a relaunch a year or two ago with Marvel NOW!? Why are there so many reboots? What’s different about them? Are they even reboots? 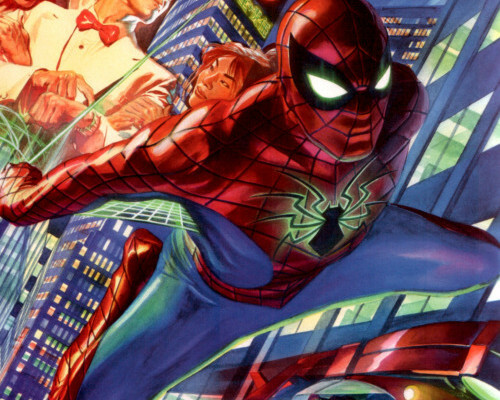 I don’t know, but I’m here to write about the news, so here’s some stuff on the new Spider-Man comic. I find it ironic how this is marketed as ‘All-New, All-Different’ when there is very little in it which is new or different. That seems to be Peter Parker in the white suit up there, who looks like Andrew Garfield if he ran a seedy 70’s disco. Marvel can’t even get their own character likeness right. Remember, guys? You hired somebody else. The costume itself is also reminiscent of the classic 60’s costume – even going as far as to bring back the good ‘ol webbed armpits! It’s classic and I like it. Y’know, Kevin Feige did say a while back that the new MCU Spidey costume would be like Ditko’s classic art. Could this be an early taster of what we’ll see on screen soon? Only time will tell (probably not). However, the most interesting thing on this cover is what’s in the bottom right corner – Spider-Man driving what appears to be the Spider-Mobile!! It certainly looks like an updated vehicle for the Wall-Crawler (although if he needs it then perhaps he isn’t great at that part), but one has to wonder why it looks to be included in the new series. 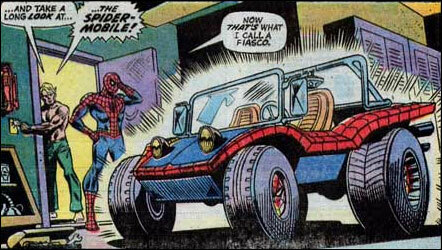 In the original comics the car was introduced because Spider-Man was roped into some sponsorship deal and it ended up at the bottom of a lake because of Mysterio. The idea of a company wanting Spidey to sell out feels like a microcosm for the comic itself. 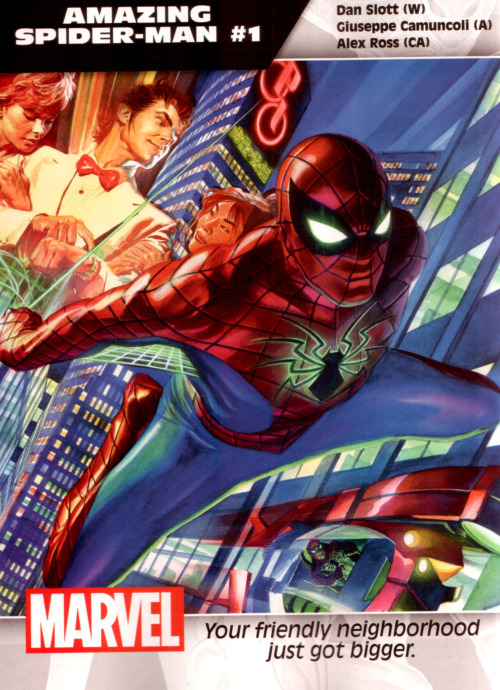 The only new thing which seems to be in this series is the introduction of Miles Morales to the main Marvel Universe and the series being about him rather than Peter Parker – even if the cover wouldn’t have you believe that. There’s a 99.5% chance that I won’t be giving the new series a read, but we nerds can only hope that it’s any good. Thanks to Bleeding Cool for finding this stuff.